The Watchtower Society presently states that Jerusalem fell to the Babylonians in 607 B.C.E. It uses this date as a basis for its chronology of the “Gentile Times” or the “appointed times of the nations,” which it says ran for 2520 years starting in the autumn of 607 B.C.E. and ending in the autumn of 1914 C.E. However, the Society’s original predictions about 1914, as expounded by the Society’s founder Charles Taze Russell, put Jerusalem’s fall in 606 B.C.E. These calculations were originally derived by Russell’s onetime associate Nelson H. Barbour and were accepted by Russell in 1876. The Bible evidence is clear and strong that the “Times of the Gentiles” is a period of 2520 years, from the year B.C. 606 to and including A.D. 1914…. The date for the beginning of the Gentile Times is, therefore, definitely marked as at the time of the removal of the crown of God’s typical kingdom, from Zedekiah, their last king…. we readily find the date for the beginning of the Gentile Times of dominion; for the first year of the reign of Cyrus is a very clearly fixed date — both secular and religious histories with marked unanimity agreeing with Ptolemy’s Canon, which places it B.C. 536. And if B.C. 536 was the year in which the seventy years of Jerusalem’s desolation ended and the restoration of the Jews began, it follows that their kingdom was overthrown just seventy years before B.C. 536, i.e., 536 plus 70, or B.C. 606. This gives us the date of the beginning of the Times of the Gentiles — B.C. 606. …. promptly in August, 1914, the Gentile Kingdoms referred to in the prophecy began the present great struggle, which, according to the Bible, will culminate in the complete overthrow of all human government…. When God permitted the Gentiles to overthrow Zedekiah, Israel’s last king, there the Gentiles or non-Jews began universal reign, and from that time the “Gentile times” began to count. The date of the overthrow of Zedekiah is positively fixed by the Scriptures and also by profane history as 606 B.C. The last statement is nonsense. The Society has abandoned 606 B.C.E. for the fall of Jerusalem, so that any Witness must admit that it never had any support. There never was the slightest evidence for the date from secular history. Nor do the “Scriptures” give a positive fix on the date. Russell had to start with some secularly determined date, 536 B.C.E. or whatever, and work backwards according to his interpretation of exactly what time period the seventy years applied to. There is not now nor has there ever been complete agreement among secular or religious scholars about this interpretation. Rutherford’s statement is bluster, but quite in keeping with his other pronouncements that have so often proved incorrect. The Lord God used Nebuchadnezzar, the king of Babylon, as his executioner to do the overturning. That was in 606 B.C., and there the “seven times”, the “times of the Gentiles”, began. As early as its issue of June, 1880, the magazine published that the end of the Gentile times of uninterrupted rule would end in 1914. It showed the Bible proof therefor. Both The Kingdom Is At Hand and the earlier The Truth Shall Make You Free were written by Fred Franz, the Society’s vice president and principle religious scholar. How he could honestly claim that 606 B.C.E. was simultaneously a wrong date and a “Bible proof” is astounding. In Leviticus xxvi, the expression “seven times” is four times repeated in reference to the duration of the rule of its enemies over Jerusalem. It has often been shown that this is the basis and key of the Times of the Gentiles (Luke xxi. 24), or the duration of Gentile rule over Jerusalem. A time is a year; a prophetic year is 360 common years and has been so fulfilled. “A time, times and a half” (i.e., 31/2 times) has been fulfilled as 1260 literal years in the Papal dominion over the nations, between A.D. 538 and A.D. 1798. [Russell and others claimed that in 1799 the “time of the end” began] If three times and a half are 1260 years, seven times are 2520 years. From B.C. 606, where the desolation of Jerusalem began, 2520 years reach to A.D. 1914. According to this application of the number seven, Jerusalem will be free at that time, and thence- forward be a praise in the earth. The application is clearly confirmed by the events of to-day — the trouble brewing among the nations, and the beginning of Jewish restoration. The prophetic argument on the Two Dispensations shows that favor was due to that people in 1878, and the door was legally opened for their return, by the Anglo-Turkish treaty of that year. From 1878 to 1914, is a period of 37 years for their rise, and is equal to the period of their fall, from the time Jesus left their house desolate in A.D. 33, until their complete destruction in A.D. 70. That year the seven “times of the Gentiles”, which began with Babylon’s overthrow of Jerusalem in 606 B.C., ran out, and there the “time of the end” for the Gentile powers in control of the earth began. Two years later, in 536 B.C., Babylon’s conqueror, King Cyrus, turned his attention to the matter of Jehovah’s temple at Jerusalem and released the faithful remnant from Babylon. The Scriptures show that from the time of the destruction of Jerusalem in 606 B.C. until Christ Jesus comes to reign and sets up the Kingdom the Gentile ruling powers have a lease on earth’s rulership…. Note that this was after The Truth Shall Make You Free adjusted the start of the Gentile Times to 607 B.C.E. It is rather odd that at this time the Society was teaching that the Gentile Times began some ten months before the destruction of Jerusalem. Note several points: (1) Russell gave no references for his implication that the Jews returned from exile in 536 B.C.E. ; (2) He made no attempt to justify why the seventy years spoken of by Jeremiah were years of captivity; (3) He said nothing about what the 606 B.C.E. date actually meant, i.e., whether it was the date of Jerusalem’s fall or the start of the Gentile times, although later writings show he distinguished the months in which the events occurred; (4) He did not show how the implied date for Jerusalem’s fall could be reconciled with statements from various authorities that placed it in 588-6 B.C.E., the same authorities he presumably got the 536 B.C.E. date from; (5) He expected that the church would “escape” before 1914, not that a time of trouble would begin after 1914. In 1877 Barbour and Russell jointly published Three Worlds, indicating their calculations. Barbour is listed on the title page as the principle author, and the July 15, 1906 Watch Tower said on p. 231 that “it was mainly written by Mr. Barbour.” Other material shows that Barbour did the actual writing and Russell only financed publication. It was at the beginning of the seventy years captivity of Jerusalem, that God’s kingdom ended, the diadem was removed, and all the earth given up to Babylon. The seventy years captivity ended in the first year of Cyrus, which was B.C. 536. They therefore commenced seventy years before, or B.C. 606. Hence, it was in B.C. 606, that God’s kingdom ended, the diadem was removed, and all the earth given up to the Gentiles. 2520 years from B.C. 606, will end in A.D. 1914, or forty years from 1874; and this forty years upon which we have now entered is to be such “a time of trouble as never was since there was a nation.” And during this forty years, the kingdom of God is to be set up, (but not in the flesh, “the natural first and afterwards the spiritual),” the Jews are to be restored, the Gentile kingdoms broken in pieces “like a potter’s vessel,” and the kingdoms of this world become the kingdoms of our Lord and his Christ, and the judgement age introduced. These are some of the events this generation are to witness…. The argument that many independent lines of evidence that all lead to the same conclusion makes for a high probability of a correct conclusion is perfectly valid. Where Barbour and Russell erred was that their lines of reasoning were not independent. Every line of reasoning not explicitly stated in the Bible was justified by its supposed fit with the other lines, which resulted in a house of cards. A thorough study of Three Worlds in light of subsequent history bears this out. From the first year of Cyrus, or, indeed, from the first year of Nebuchadnezzar, which was nineteen years before the seventy years captivity of Jerusalem, (see Jer. 52:12), there is no essential difference between the different chronological writers. The first year of Cyrus being B.C. 536, in which year the seventy years ended…. Note 5. — The next point we will mention is in relation to the first year of Cyrus being B.C. 536. The only attack ever made on this is by a certain class of Adventists. And presuming this may fall into the hands of some of them, I will give a little space to answering this objection. The fact that the first year of Cyrus was B.C. 536, is based on Ptolemy’s canon, supported by the eclipses by which the dates of the Grecian and Persian era have been regulated. And the accuracy of Ptolemy’s canon is now accepted by all the scientific and literary world. Hence, from the days of Nebuchadnezzar to the Christian era, there is but one chronology. …. Hence, notwithstanding, the facts of history, regulated by eclipses, prove the first year of Cyrus to be B.C. 536, yet if they clash with the prophecy, the Bible student would naturally give the preference to the prophecy…. “The commandment to restore and to build Jerusalem,” did not go forth in the days of Cyrus. For though he made such a commandment, it was stopped and did not go into effect, nor was Jerusalem rebuilt, according to Ezra and Nehemiah, until some fifty or more years after Cyrus…. So the decree of Cyrus, although issued B.C. 536, did not go forth until the days of Ezra and Nehemiah. Many scholars did accept 536 B.C.E. for Cyrus’ first year, and it was accepted as such at least as far back as the 17th century. For example, the famous Bible chronology given by Bishop Ussher used that date. So did the chronologies given by the many commentators who engaged in prophetic speculation that Barbour and Russell so heavily relied upon, such as E. B. Elliott and Joseph Seiss. But Barbour and Russell gave no references in Three Worlds to any scholarly works that would support their claim about 536 B.C.E. They also claimed that Ptolemy’s canon supported a date for Nebuchadnezzar’s first year as being “nineteen years before the seventy years captivity of Jerusalem.” It does support Nebuchadnezzar’s accession year as being nineteen years before Jerusalem’s destruction, but their chronology implies that Nebuchadnezzar’s first year was in 625 B.C.E., whereas Ptolemy’s canon implies 605 B.C.E. for his accession year. The table below shows three reference works that had put Nebuchadnezzar’s first year in 605 or 606 B.C.E. ; other scholars of the time agree closely with these dates. Given the attention to detail Barbour and Russell showed elsewhere it seems almost impossible they could have missed this point. It seems they simply wanted to believe that their interpretation of the seventy years was correct, and they ignored, at least in print, all evidence against their interpretation. It is enlightening that they claimed Ptolemy’s canon supports the 536 B.C.E. date, but were silent about what the canon implies for the actual date of Nebuchadnezzar’s first year. They were also silent about scholarly support of dates for the destruction of Jerusalem, which the table below shows scholars said occurred in 588 to 586 B.C.E., whereas Barbour and Russell claimed it occurred in 606 B.C.E. An examination of scholarly works available in the latter half of the nineteenth century proves Barbour and Russell’s claim that their dates were firmly established is not true. Virtually every reference work used a slightly different set of dates for key events in the Neo-Babylonian period, but they generally differed by only one to three years. The following table shows three sets of dates for important events from this period, from reference works available in the period in which Barbour and Russell, and later Russell alone, wrote. These are: McClintock and Strong’s Cyclopaedia, 1871; Smith’s Bible Dictionary, William Smith, 1864; Encyclopaedia Biblica, Cheyne and Black, 1899. Compare these with the currently accepted dates, which are also listed. See also Babylonian Chronology 626 B.C.-A.D. 75, R. A. Parker and W. H. Dubberstein, Brown University Press, Providence, 1956. The changing of a single year would throw the beautiful parallels out of accord; because some of the prophecies measure from B.C., some from A.D., and some depend upon both. We know of no reason for changing a figure: to do so would spoil the harmonies and parallels so conspicuous between the Jewish and Gospel ages…. For an interesting look at wild speculations involving “parallels,” see the June 15, 1905 Zion’s Watch Tower, pages 179-186 (pp. 3574-9 Reprints). When 1874 came and there was no outward sign of Jesus in the literal clouds and in a fleshly form, there was a general reexamination of all the arguments upon which the “Midnight Cry” was made. And when no fault or flaw could be found, it led to the critical examination of the Scriptures which seem to bear on the manner of Christ’s coming, and it was soon discovered that the expectation of Jesus in the flesh at the second coming was a mistake…. It was evident, then, that though the manner in which they had expected Jesus was in error, yet the time, as indicated by the “Midnight Cry”, was correct, and that the Bridegroom came in the Autumn of 1874…. Just as some of William Miller’s followers, whom Barbour was at one time, claimed they had expected the “wrong thing at the right time,” so did Barbour and his associates. Shortly after this disappointment the circulation of The Midnight Cry dwindled to almost nothing and Barbour ceased publication. In June 1875 he restarted his paper under the name Herald of the Morning. In the July issue he indicated that the Gentile Times might end in 1915, and in the September issue revised that to a solid prediction of 1914. So it is clear that much of Barbour and Russell’s later work was an attempt to salvage a failed prophecy. Their claims about dates were simply their own opinions, with no scholarly support, as events have proved. While Barbour eventually gave up on many of his predictions, after Russell had a falling out with him, Russell held on to them until the end of his life. But he had built his chronological edifice on sand, because nearly the entire structure of predictions built on it has collapsed. Except for the claim that the Gentile Times ended in 1914, every doctrine concerning 1914 that Jehovah’s Witnesses believe today was invented after 1914. Seventeen years ago people said, concerning the time features presented in MILLENIAL DAWN, They seem reasonable in many respects, but surely no such radical changes could occur between now and the close of 1914: if you had proved that they would come about in a century or two, it would seem much more probable. What changes have since occurred, and what velocity is gained daily? “The old is quickly passing and the new is coming in.” Now, in view of recent labor troubles and threatened anarchy, our readers are writing to know if there may not be a mistake in the 1914 date. They say that they do not see how present conditions can hold out so long under the strain. We see no reason for changing the figures — nor could we change them if we would. They are, we believe, God’s dates, not ours. Beginning in 606 B.C., and being seven in number, when would these ‘times’ end and the righteous overlordship of God’s kingdom be established?…. In Nebuchadnezzar’s time the year began counting from the fall of the year, or about October 1, our time. Since he destroyed Jerusalem in the summer of 606 B.C., that year had its beginning in the fall of 607 B.C. and its ending in the fall of 606 B.C. Inasmuch as the count of the Gentile “seven times” began its first year at the fall of 607 B.C., it is simple to calculate when they end. The date for the beginning of the Gentile Times is, therefore, definitely marked as at the time of the removal of the crown of God’s typical kingdom, from Zedekiah, their last king. Russell many times gave indications that he understood the Gentile Times to have begun in the autumn, dating the start to the month Tishri, or about October 1, 606 B.C.E. This is evident from The Time Is At Hand, in the chapter “Earth’s Great Jubilee,” in which he repeatedly says that years in “Jewish time” begin in October (pp. 186, 194-5). That Russell dated the start of the Gentile Times to October is proved by the fact that he and Barbour explicitly dated the beginning of the Gentile Times to the fall of 606 B.C.E. in Three Worlds, pages 76-7, 83, 189. The Truth Shall Make You Free explicitly retained the summer of 606 B.C.E. as the date for the fall of Jerusalem, and it retained 536 B.C.E. as Cyrus’ first year and as the year in which the Jews returned to their homeland. See pp. 229, 231, 237, 299 and 308 for examples where 606 B.C.E. is still used for Jerusalem’s fall. No mention is made of how the zero year fits into this adjustment, although on page 239 the concept of a zero year is alluded to. The Babylonian armies destroyed Jerusalem in the summer of 607 B.C.E. and the land of Judah became desolate by the beginning of autumn. The October 15, 1943 Watchtower, also apparently written by the Society’s vice-president, Fred Franz, explicitly stated that the Jews returned from exile in 536 B.C.E., on pp. 309-11. This was published after The Truth Shall Make You Free was released in the summer of 1943. Note how definite Franz was in making his statements. Three sets of scriptures “agree that it was in the first year of Cyrus’ reign….” “It is well established that two years after the overthrow of Babylon in 538 B.C….” As late as April, 1944 the Society pegged the destruction of Jerusalem to 606 B.C.E., in the April 12, 1944 issue of Consolation, p. 16. The dates and the reasoning based on them were soon revised. The following chronology shows the date of Jerusalem’s destruction as in the year 607 before Christ. This recognizes the fact that the ancient reckoning of the vulgar year began in the fall. In other words, the vulgar year 606 B.C. really began in the fall of 607 B.C. As stated on page 239 ([para.] 1) of “The Truth Shall Make You Free”: “Inasmuch as the count of the Gentile ‘seven times’ began its first year at the fall of 607 B.C., it is simple to calculate when they end. From the fall of 607 B.C. to the fall of B.C. 1 is exactly 606 years…. Hence from the fall of B.C. 1 to the fall of A.D. 1914 is 1,914 years. In 609-607 B.C., God used Babylon’s armies to besiege and destroy the first Jerusalem and its temple. As noted above however, The Truth Shall Make You Free explicitly stated that the date for Jerusalem’s destruction was the summer of 606 B.C.E., so that The Kingdom Is At Hand’s “explanation” of the change from 606 to 607 B.C.E. for this event is nothing but intellectual sleight of hand. So not only did the Society revise the date for the start of the Gentile Times back by exactly one year, but it did the same for the fall of Jerusalem. Neither book showed how an event at first said to have occurred in the summer (fifth Jewish month Ab) of 606 B.C.E. could later be said to have occurred exactly one year earlier merely by accounting for when the “vulgar” year began counting. Franz hoped his readers would miss the switch, or if they caught it would not question it. And he was right. This leap of twelve months at the stroke of a pen is a cynical abuse of the reader’s intelligence. Note that the fall of Jerusalem is shown as occurring in the summer of 606 B.C.E. This is part of the Jewish year that began in the autumn of 607 B.C.E. The Gentile Times is shown as starting in the Jewish year that began in 606 B.C.E. Note that the date for the fall of Jerusalem has not been changed. This situation remains through the balance of the book. Note that in both instances the dates were changed by exactly one year. Now the Gentile Times is shown as starting in the Jewish year that began in 607 B.C.E., but the fall of Jerusalem now occurs in the Jewish year that began in 608 B.C.E. In the eleventh year of [Zedekiah’s] reign Jerusalem fell and was destroyed…. 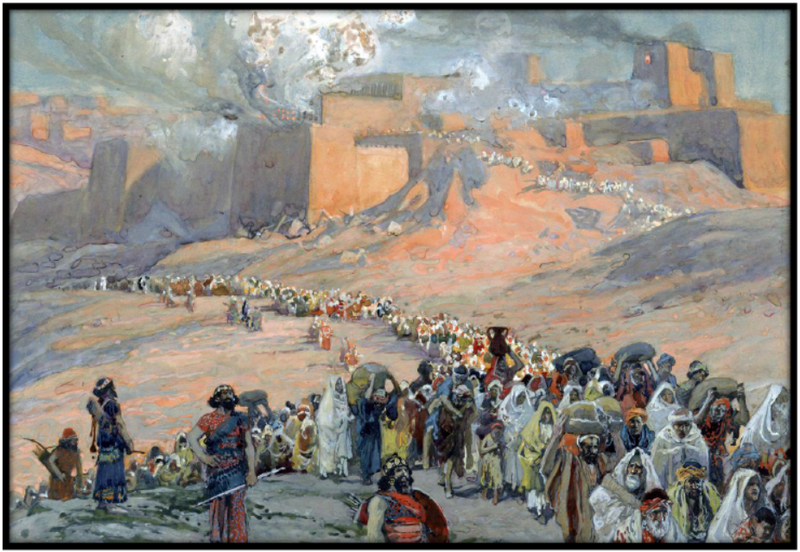 Thousands of survivors were carried off captive to Babylon in that disastrous fifth month of the year 607 B.C….. Two months later, or in the seventh month of 607 B.C….. the land of the typical kingdom became an astonishing desolation, uninhabited, shunned by men. Jerusalem was destroyed and the land was desolated, in 607 B.C….. at the destruction of Jerusalem in 607 B.C….. In 607 B.C., when God by means of Nebuchadnezzar overturned His typical Theocracy…. So by gross misrepresentation of what C. T. Russell taught, Franz transferred 606 B.C.E. to 607 B.C.E. in Watchtower chronology. He judged the reaction of his readers well. There was none. This deception is compounded by the fact that the Society knew that the 536 and 606 B.C.E. dates were wrong for many years prior to 1943. The 1917 book The Finished Mystery listed 607 B.C.E. as the start of the Gentile times. The March 13, 1935 Golden Age listed on page 369 both 537 B.C.E. for the “Edict of Cyrus” and 607 B.C.E. for the start of the Gentile Times. The reason the dates were not changed until 1943 is likely one of political expediency — after Joseph Rutherford died in January, 1942, his successors Nathan Knorr and Fred Franz became free to change the beliefs of Jehovah’s Witnesses as they saw fit. According to the most accurate histories, Darius the Mede and Cyrus the Persian, his nephew, jointly took the capital of the Babylonian empire in 539 B.C. After Darius’ brief rule there, Cyrus came to power, in 537 B.C. That year marked the end of the seventy years’ desolation of Jerusalem, and that very year Jehovah God stirred up the heart of Cyrus to let his captives go free. Note that now Babylon fell in 539 rather than 538 B.C.E., and that Cyrus came to power in 537 rather than in 536 B.C.E. There is no discussion of why the dates were revised by one year. How can it be that dates that in 1943 were “well established” had become obsolete by 1944? Whatever the Party holds to be truth is truth. This philosophy has a danger, however. There is simply no means of simultaneously being tentative about dates which form the basis of doctrines, and being authoritative on the doctrines themselves. Most religious writers seem to know this instinctively. The huge number of religious writings produced in the nineteenth century, most of which have been abandoned, are written in this authoritative style. N. H. Barbour, C. T. Russell, J. F. Rutherford and Fred Franz realized this very well, as do the Society’s current crop of governing members. …. in 537 B.C. That was when King Cyrus began his first year of reigning as conqueror of wicked Babylon and as king of the Medo-Persian Empire. In that year Zion, or Jerusalem, which had been destroyed by King Nebuchadnezzar of Babylon in 607 B.C., had fulfilled seventy years of lying desolate and in ruins…. [Jehovah] caused the overthrow of the mighty Babylonian empire by the combined hosts of King Darius of Media and his nephew Cyrus of Persia, in 539 B.C. But Jerusalem was still left lying desolate in the dust, inactive as in the sleep of death. In the seventieth year of her desolation, in 537 B.C., Cyrus the Persian succeeded his uncle Darius to the throne of the victorious empire. …. the fleshly Jews or Israelites who were regathered to Palestine, beginning in 537 B.C. In 537 B.C., after Jerusalem’s seventy years of desolation, a remnant of the Israelites did return from the northland territories of Babylon…. The overthrow of their enemy, Babylon, by the conquerors, Darius king of Media and his nephew Cyrus king of Persia, in 539 B.C…. in 539 B.C. Babylon’s highly organized power was overthrown; and in 537 B.C. its Israelite captives were let return to Palestine to rebuild the temple. These dates are officially mentioned in the 1946 books Equipped For Every Good Work and Let God Be True. The first book has a chart on pp. 160-3 that duplicates the chart from pp. 172-5 of The Kingdom Is At Hand. Its text carries along the dates 607 B.C.E. for Jerusalem’s fall, 539 B.C.E. for Babylon’s fall, and 537 B.C.E. for Cyrus’ first year and for the Jews’ return from exile. See also pp. 29, 45, 103, 155, 159, 172, 173, 210 and 216. Similarly, Let God Be True mentions (p. 246; p. 252 of 1952 revised edition) that God’s typical Kingdom ceased to exist by the autumn of 607 B.C.E. and that the Gentile Times ran from the autumn of 607 B.C.E. to the autumn of 1914 C.E. The well-established date for [Darius’ and Cyrus’] overthrow of Babylon in the days of King Belshazzar is 539 B.C. Let us remember, here, that the ancient pagan year did not begin on January 1, but several months ahead of that date. Hence the ancient pagan year began on one side ahead of our so-called January 1 and ended on the other side after January 1. This may account for it why some historians date Babylon’s fall to Darius and Cyrus as 538 B.C. Hence the first year of the reign of Darius the Mede at the captured city of Babylon began in 539 B.C. 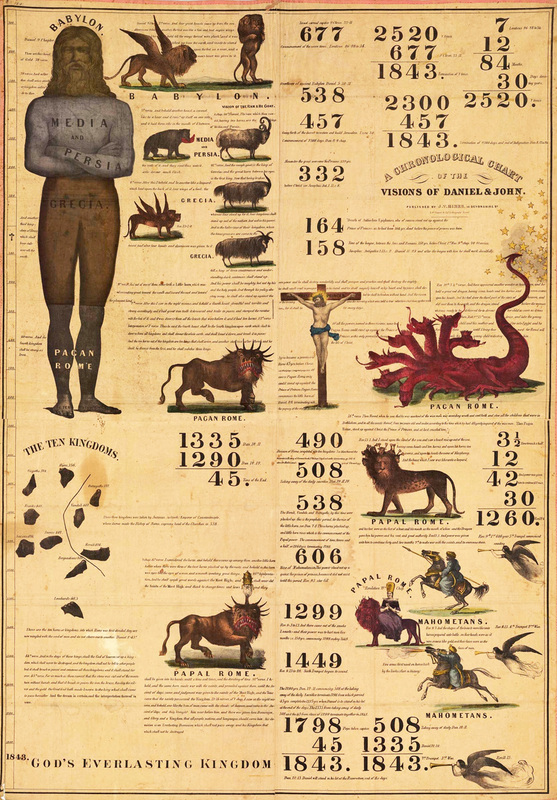 and ran into 538 B.C….. [Daniel] prayed for mercy, believing that the desolateness without man or beast would cease two years thence, or in 537 B.C…. the remnant of Jews who acted upon Cyrus’ decree and who returned from Babylonish captivity to the desolated city in 537 B.C….. The confusion over 537 or 538 B.C.E. as Cyrus’ first year was discussed without definite resolution in the November 1, 1949 Watchtower, on p. 328. The May 1, 1952 Watchtower, on p. 271, again discussed the problem, leaning heavily toward the 538 B.C.E. date. The February 1, 1955 Watchtower, on p. 94, was nearly definite that Cyrus’ first regnal year began in 538 B.C.E., and with this issue the Society’s 1914 chronology reached its present form. The fixing of 539 B.C.E. as the year when this historical event occurred is based on a stone document know [sic] as the Nabonidus (Nabunaid) Chronicle…. Please note, the Nabonidus Chronicle gives precise details as to the time when these events took place. This, in turn, enables modern scholars, with their knowledge of astronomy, to translate these dates into terms of the Julian or Gregorian calendars…. Recognized authorities of today accept 539 B.C.E. without any question as the year Babylon was overthrown by Cyrus the Great. This date…. according to the best astronomical tables available, [footnote: Brown University Studies, Vol. XIX, Babylonian Chronology 626 B.C.-A.D. 75, (1956) Parker and Dubberstein, p. 29] is calculated to be October 5 (Julian) or September 29 (Gregorian) 537 B.C.E. — Ezra 1:1-4; 3:1-6. The fixing of 539 B.C.E. as the year when this historical event occurred is based on a stone document know [sic] as the Nabonidus (Nabunaid) Chronicle. This important find was discovered in ruins near the city of Baghdad in 1879, and it is now preserved in the British Museum. A translation of this finding was published by Sidney Smith in Babylonian Historical Texts Relating to the Capture and Downfall of Babylon, London, 1924…. Recognized authorities of today accept 539 B.C.E. without any question as the year Babylon was overthrown by Cyrus the Great. In addition to the above quotations the following gives a small sampling from books of history representing a cross section of both general reference works and elementary textbooks. These brief quotations also show that this is not a date recently suggested, but one thoroughly investigated and generally accepted for the past sixty years. It was pointed out above that the Society published a statement as early as 1917 showing it knew the dates were wrong, and here The Watchtower admits that it has been known by “recognized authorities,” at least as far back as 1907, that Babylon fell in 539 B.C.E. Smith’s Bible Dictionary pointed this out in 1864 (see table on p. 9 of this essay). Why did it take the Society until 1944 to admit this, and until 1968 to publish full documentation for the date? Apparently because no one wanted to upset the long established 1914 chronology of C. T. Russell, and when some changes were finally made it was deemed advisable to wait until they had been accepted long enough that few rank and file members would notice how overwhelmingly the documentation showed the earlier dates were wrong. The above mentioned Watchtower article discussed the date of Jerusalem’s fall, on pp. 492-4. Starting with 537 B.C.E. for the end of the Jewish exile, it goes back seventy years to arrive at 607 B.C.E. for Jerusalem’s destruction. In paragraph 19 it classes any other method of arriving at this date among “some of the erroneous pitfalls into which traditional chronologers of Christendom have fallen,” even though the same paragraph says that “with the date 539 B.C.E. so firmly fixed and agreed to by so many scholars, we are quite confident where we stand today in relation to the fall of Babylon….” The paragraph fails to point out that the “scholars” it is speaking about are the same people as the “chronologers.” Evidently, all the “recognized authorities” that established 539 B.C.E. as the date of Babylon’s fall are also “traditional chronologers of Christendom,” because all of them have fallen into the “erroneous pitfall” of listing 587/6 rather than 607 B.C.E. for the destruction of Jerusalem. So The Watchtower article does not mention that its chronology is based solidly on this finding of the “traditional chronologers of Christendom,” namely, that Babylon fell in 539 B.C.E. The Society is speaking out of both sides of its mouth at the same time. The Society’s latest view is found in the 1988 book Insight on the Scriptures, Vol. 1, p. 453, under the main subject “CHRONOLOGY,” subsection “Babylonian Chronology,” which comes to the same final conclusion as the August 15, 1968 Watchtower by a different route. It uses (1) Astronomical calculations based on lunar eclipses; (2) Business tablets dated to Cyrus’ 9th year; and (3) The information in various secular historical books. If all these date changes are confusing to you, they are to me, too. All the above hand-waving by Fred Franz, the writer of the above mentioned Watchtower Society books and many of the related Watchtowerarticles, show his confusion about a number of points. One point of confusion is in determining how the year was reckoned in ancient times. What The Kingdom Is At Hand refers to as the “vulgar” year corresponds to the Jewish civil year. The Jewish civil year ran from fall to fall, beginning in mid-September, and was used for dating civil events such as the regnal years of kings. Oddly enough the civil year began with the seventh month Tishri, corresponding to September/October. This is because the Jews also used a religious calendar running from spring to spring, which was used for reckoning the time of observance of feasts and such. The numbering of months was based on the religious calendar. So what the Society referred to as, say, the fifth month Ab, is actually the fifth month of the religious calendar, corresponding to July/August. The Babylonian calendar ran from spring to spring, contrary to Franz’s claim that the “pagan” or “vulgar” year ran from fall to fall, although the Egyptian calendar ran from fall to fall. Franz’s misunderstanding of how the Babylonian year was reckoned completely negates the arguments he made on pp. 238-9 of The Truth Shall Make You Free, where he changed the 606 date to 607 B.C.E. for the start of the Gentile Times, and on p. 171 of The Kingdom Is At Hand, where he said the “vulgar year began in the fall.” One who does not understand fundamentals is in no position to formulate arguments based on them. The 606-607 B.C.E. change can now be seen to have no basis other than wanting to retain the 1914 date while rectifying the neglect of the zero year in Russell’s chronology.17 Franz was very clever in accomplishing this without really explaining the changes involved or why they needed to be made. He never explicitly mentioned the neglect of the zero year in the above books, but waited until the May 1, 1952 Watchtower to do so (see below). Obviously Franz did much research during the 1940s on Neo-Babylonian and biblical chronology, so why did he avoid clearly explaining his findings? Another confusing point is the method of reckoning the regnal years of kings. The accession year system is similar to the way we reckon ages: 1 year old means a child is between 1 and 2 years; there is no zero age. The year in which the king came to power, the zero year, was called the accession year, the next was called the first year, and so on. In the non-accession year system, which was generally used by the Jews, the year in which the king came to power was called the first year. The difference is that between cardinal and ordinal numbering. The Babylonians and apparently the prophet Daniel used the accession year system to refer to the reigns of kings, whereas the Jews used the non-accession year system. The Babylonians also started the year on Nisan 1, in the spring, whereas the Jews started the civil year in the fall, on Tishri 1. That the Babylonians reckoned regnal years this way is acknowledged by the Feb. 1, 1969 Watchtower, on p. 88, which equates Nebuchadnezzar’s seventh regnal year to his eighth year from his accession to the throne. It also equates his 18th regnal year with his 19th year from his accession. Since Daniel was a high official in the Babylonian hierarchy, it would be appropriate for him to use their system for reckoning regnal years, even when applied to non-Babylonian kings. The Jews used the non-accession year system to reckon regnal years in the Bible, except possibly Jeremiah 52, which may have been written later in Babylon by someone using the Babylonian method. This view is further strengthened by Insight’s statement, Vol. 1, p. 452, which says that both Jer. 52:28 and the Babylonian Chronicle BM 21946 both refer to Nebuchadnezzar’s taking captives in his 7th (regnal) year. See also Let Your Kingdom Come, p. 188. However, Jer. 52:12 reports that Jerusalem was destroyed in Nebuchadnezzar’s nineteenth year, while Jer. 52:29 says that captives were taken in his eighteenth year, and Bible scholars are not certain exactly what this apparent discrepancy means. This problem, incidentally, is the reason some Bible scholars list the destruction of Jerusalem as either 586 or 587 B.C.E. At any rate, the different methods of reckoning regnal years seems to be why Jer. 46:2 refers to the battle of Carchemish as occurring in the fourth year of Jehoiakim, whereas Dan. 1:1, referring to the captives taken in the first deportation to Babylon, says that this event happened in the third year of Jehoiakim. Daniel, as a Babylonian high official, would logically have used Babylonian reckoning, while Jeremiah would have used the Jewish method. Fred Franz seems to have learned these facts by the time the November, 1949 Watchtower came out, as can be seen in footnotes on p. 328 of the issue. A third point of confusion is in determining what method of reckoning regnal years was used when the reigns of kings of other kingdoms were stated. The Bible apparently never says for certain which method is used in which case, so chronologers must infer which system is being used. Did Daniel use the Babylonian or Jewish system of reckoning reigns? If he used an accession year system, did he reckon from spring to spring or fall to fall? Without an explicit Bible statement the answers can only be inferred. Bible chronology is not yet worked out in every detail with regard to the chronologies given for the kings in the books of Kings and Chronicles, and no matter what system scholars use, discrepancies remain. In the early 1940s Franz apparently misunderstood many of the above discussed points: the difference between the accession year system of reckoning the regnal years of kings and the non-accession system; which nation used what system; what the Babylonian method of reckoning years was (spring- to-spring or fall-to-fall); which calendar system the Jews used for reckoning which events; etc. What he consistently did was use whatever historical references supported his ultimate goal of showing that 1914 C.E. was the end of the Gentile Times. When he needed 606 B.C.E. as the start of the Gentile Times he used 536 B.C.E. as the date of the Jews’ return from exile and used 538 B.C.E. as the date of Babylon’s overthrow by Cyrus. When he could no longer ignore the neglect of the zero year he gradually changed the calculations and data as necessary. In 1943 the start of the Gentile Times went from 606 to 607 B.C.E. In 1944 Jerusalem’s fall did likewise, the Jews’ return from exile went from 536 to 537 B.C.E. and the date of Babylon’s fall went from 538 to 539 B.C.E. By 1955, the year that Cyrus issued his decree went from 537 to 538 B.C.E. Franz selected evidence as from a smorgasbord, using any historical sources that supported his position and rejecting all others, calling the writers “the chronologers of Christendom” (Babylon, p. 372; Aug. 15, 1968 Watchtower, p. 493) or some other trivializing name. He did this even when a preponderance of historical evidence showed his dates were wrong, as the August 15, 1968 Watchtower admitted, and as shown earlier in this essay. As governing body member Karl Klein once said in conversation, “Freddie can rationalize anything. ” Clearly these men had no intellectual integrity. An interesting question is whether N. H. Barbour and C. T. Russell had enough information available to them to not make the mistake of neglecting the zero year. The evidence is that they did, because in a very signficant case they did get it right, as shown by the following information. In June 1875 Barbour restarted The Herald of the Morning. A chronological chart on page 15 of this issue is identical to a chart on page 7 of Barbour’s 1869-71 pamphlet Evidences for the Coming of the Lord in 1873. On pages 6 and 68 of the latter, in a discussion of the chronological reasons he thought Christ would return in 1873, Barbour indicates he follows “Jewish time,” “from spring to spring.” Therefore “the year 1797 ends not till the spring of 1798.” This reckoning contrasts with his and Russell’s later practice of dating events from fall to fall in most cases. See, for example, Three Worlds, pp. 67, 76-7 and The Time Is At Hand, pp. 186-7. Charts similar to the above are also found in Evidences, p. 53, Three Worlds, p. 76 and The Time Is At Hand, p. 42. The latter three are nearly identical to each other. Barbour also discussed detailed calculations of the 6000 years of man’s history in Evidences, and he and/or Russell did so in Three Worlds and The Time Is At Hand. They said these ran from 4128 B.C.E. to 1873 C.E. ; spring to spring in Evidences and fall to fall in the two later works. This time period is 6000 years, just as they said, and it implies they knew there was one year from 1 B.C.E. to 1 C.E. In other words, from the fall of 4128 B.C.E. to the fall of 1 B.C.E. is 4127 years; from fall 1 B.C.E. to fall 1 C.E. is 1 year; from fall 1 C.E. to fall 1873 is 1872 years; for a total of 6000 years. Using this framework, from 606 B.C.E. to 1798 C.E., as shown in the chart on p. 15 of the June 1875 Herald, is 2403 years. Advancing an additional 117 years to make 2520, gets us to 1915 C.E. Reckoning spring to spring or fall to fall is irrelevant to this. Since they were demonstrably capable of getting chronological calculations correct, and of taking the “zero year” into account, it is very odd that they made the mistake of saying that from the fall of 606 B.C.E. to the fall of 1914 C.E. was 2520 years. Most likely Barbour simply adopted the methods of Christopher Bowen and other commentators who made the same “zero year” mistake. Russell merely followed Barbour. At any rate, Barbour explicitly dated the beginning of the Gentile times to the fall of 606 B.C.E. (Three Worlds, pp. 76-7, 83, 189), and Russell implicitly dated it similarly (The Time Is At Hand, pp. 186, 194-5). Somewhere between June 1875 and the publication of Three Worlds in 1877 Barbour converted from the spring dating system to the fall dating system. He also settled on the calculation that made the “zero year” mistake. Likely he did this in the August or September Herald. Neither Barbour nor Russell seem ever to have attempted to explain the discrepancy between the 6000 year and 2520 year calculations. This has been a source of confusion to those trying to understand their chronology. “It was in B.C. 606, that God’s kingdom ended, the diadem was removed, and all the earth given up to the Gentiles. 2520 years from B.C. 606, will end in A.D. 1914.” * — The Three Worlds, published in 1877, page 83…. * Providentially, those Bible Students had not realized that there is no zero year between “B.C.” and “A.D.” Later, when research made it necessary to adjust B.C. 606 to 607 B.C.E., the zero year was also eliminated, so that the prediction held good at “A.D. 1914.” — See “The Truth Shall Make You Free,” published by the Watch Tower Society in 1943, page 239. Compare this quotation from Three Worlds with the complete quotation earlier in this essay. Note that the Revelation book does not state what was adjusted from 606 to 607 B.C.E. The Truth Shall Make You Free talked only about the start of the Gentile Times changing from 606 to 607 B.C.E., and it explicitly stated that Nebuchadnezzar “destroyed Jerusalem in the summer of 606 B.C.” The Kingdom Is At Hand changed the date of Jerusalem’s fall from 606 to 607 B.C.E. with no explanation other than referring to The Truth Shall Make You Free, and changed the date of the Jews’ return from exile from 536 to 537 B.C.E. and the date of Babylon’s fall from 538 to 539 B.C.E. with no explanation whatsoever. Also note that the Revelation book does not say what sort of research made the change necessary, nor does The Truth Shall Make You Free. In fact, it has been shown that due to Fred Franz’s misunderstanding of whether the “vulgar” year ran from fall to fall or from spring to spring, and of related issues, The Truth Shall Make You Free had no logical basis for an argument at all. The real reason 606 B.C.E. was “adjusted” to 607 B.C.E. was to fix the zero year problem, but the Revelation book implies an inversion of cause and effect that keeps its readers in the dark. This whole business is another case where the Society glosses over embarrassing information with hazy arguments, because sufficiently vague statements can never be pinned down or challenged. From the mid-1870’s, Jehovah’s people had been anticipating that catastrophic events would start in 1914 and would mark the end of the Gentile Times. This quotation also proves that Russell did not predict that the Kingdom of God would be set up in heaven, in 1914, but would be set up on the earth, by 1914. By 1914 everything would be pretty much wrapped up. Does it really sound like C. T. Russell was “providentially” moved to make these predictions or to establish a Bible chronology? If so then God certainly moves in mysterious ways. Since this question is agitating the minds of a considerable number of the friends, we have presented it here in some detail. We remind the readers, however, that nothing in the Scriptures says definitely that the trouble upon the Gentiles will be accomplished before the close of the Times of the Gentiles, whether that be October, 1914, or October, 1915. The trouble doubtless will be considerable before the final crash, even though that crash come suddenly, like the casting of a great millstone into the sea. (Rev. 18:21) The parallel between the Jewish harvest and the present harvest would corroborate the thought that the trouble to the full will be accomplished by October, 1915. But we remind all of our readers again, that we have not prophesied anything about the Times of the Gentiles closing in a time of trouble nor about the glorious epoch which will shortly follow that catastrophe. We have merely pointed out what the Scriptures say, giving our views respecting their meaning and asking our readers to judge, each for himself, what they signify. These prophecies still read the same to us. Should we ever see reason for changing our belief, be assured we will be prompt to advise you respecting the same and give you the reason for it. However some may make positive statements of what they know, and of what they do not know, we never indulge in this; but we merely state that we believe thus and so, for such and such reasons. Many disposed to cavil at every statement of faith respecting the time and ending of this age and the dawning of the new age are very positive in their assertions. Some of them declare that surely the end of this age cannot come for fifty thousand years yet. Others, with equal positiveness, declare that it may happen at any moment. Neither one gives any Scriptural proof. Then why should either of them criticize us for merely presenting the Scripture testimonies and our opinions respecting the signification of them, with the request that others investigate and form each his own opinion? Thirdly, It will prove that some time before the end of A.D. 1914 the last member of the divinely recognized Church of Christ, the “royal priesthood,” “the body of Christ,” will be glorified with the Head;because every member is to reign with Christ, being a joint-heir with him of the Kingdom, and it cannot be fully “set up” without every member. He totally ignored his earlier statements that the battle of Armageddon had started in 1874 and would end in 1914. September 1, 1914: While it is possible that Armageddon may begin next Spring, yet it is purely speculation to attempt to say just when. We see, however, that there are parallels between the close of the Jewish age and this Gospel age. These parallels seem to point to the year just before us — particularly the early months. April 1, 1915: The Battle of Armageddon, to which this war is leading, will be a great contest between right and wrong, and will signify the complete and everlasting overthrow of the wrong, and the permanent establishment of Messiah’s righteous kingdom for the blessing of the world…. September 15, 1915: Tracing the Scriptural chronology down to our day, we find that we are now living in the very dawn of the great seventh day of man’s great week. This is abundantly corroborated by the events now taking place about us on every hand. February 15, 1916: In STUDIES IN THE SCRIPTURES, Vol. IV, we have clearly pointed out the things now transpiring, and the worse conditions yet to come. The present great war in Europe is the beginning of the Armageddon of the Scriptures. (Rev. 16:16-20.) It will eventuate in the complete overthrow of all the systems of error which have so long oppressed the people of God and deluded the world…. We believe the present war cannot last much longer until revolution shall break out. The author acknowledges that in this book he presents the thought that the Lord’s saints might expect to be with Him in glory at the ending of the Gentile Times. This was a natural mistake to fall into, but the Lord overruled it for the blessing of His people. The thought that the Church would all be gathered to glory before October, 1914, certainly did have a very stimulating and sanctifying effect upon thousands, all of whom accordingly can praise the Lord — even for the mistake. Many, indeed, can express themselves as being thankful to the Lord that the culmination of the Church’s hopes was not reached at the time we expected; and that we, as the Lord’s people, have further opportunities of perfecting holiness and of being participators with our Master in the further presentation of His Message to His people. Involving God and Christ with the mistakes made, with God “overruling” certain predictions, provides a convenient escape from having to shoulder the true responsibility for having falsely presented as “God’s dates” things that were not God’s dates at all but simply the product of human speculation. Merit is found even in false predictions because of the “stimulating and sanctifying effect” produced, so that one may “praise the Lord — even for the mistake.” That approach allowed for still more false predictions with their “stimulating” effects. J. F. Rutherford and his successors took full advantage of the smokescreen these ideas allowed. The chronology of present truth might be a mere happening if it were not for the repetitions in the two great cycles of 1845 and 2520 years, which take it out of the realm of chance and into that of certainty. If there were only one or two corresponding dates in these cycles, they might possibly be mere coincidences, but where the agreements of dates and events come by the dozens, they cannot possibly be by chance, but must be by the design or plan of the only personal Being capable of such a plan — Jehovah himself; and the chronology itself must be right. In the passages of the Great Pyramid of Gizeh the agreement of one or two measurements with the present- truth chronology might be accidental, but the correspondency of dozens of measurements proves that the same God designed both pyramid and plan — and at the same time proves the correctness of the chronology…. It is on the basis of such and so many correspondencies — in accordance with the soundest laws known to science — that we affirm that, Scripturally, scientifically, and historically, present-truth chronology is correct beyond a doubt. Its reliability has been abundantly confirmed by the dates and events of 1874, 1914, and 1918. Present- truth chronology is a secure basis on which the consecrated child of God may endeavor to search out things to come…. Present-truth chronology is correct beyond the possibility of a doubt. Present-truth chronology is based upon divine prophecy and its Biblical fulfillment, that the seventy years were years of desolation, not part desolation and part captivity. The chronology stands firm as a rock, based upon the Word of God. This chronology is not of man, but of God. Being of divine origin and divinely corroborated, present-truth chronology stands in a class by itself, absolutely and unqualifiedly correct…. In the chronology of present truth there are so many inter-relationships among the dates that it is not a mere string of dates, not a chain, but a cable of strands firmly knit together — a divinely unified system, with most of the dates having such remarkable relations with others as to stamp the system as not of human origin…. It will be clearly shown that present-truth chronology displays indisputable evidence of divine foreknowledge of the principle dates, and that this is proof of divine origin, and that the system is not a human invention but a discovery of divine truth…. we believe that it bears the stamp of approval of Almighty God. It would be absurd to claim that the relationship discovered was not the result of divine arrangement. Over the next six years nearly all these “discoveries of divine truth” were abandoned. Contrary to Russell’s expectations the War ended in 1918 without being followed by worldwide Socialist revolution and anarchy. The last member of the Church of Christ had not been glorified, the city of Jerusalem was still trodden down by the Gentiles, the Kingdom of God had not crushed “the Gentile image,” and the “new heavens and the new earth” could not be seen anywhere by trouble-tossed humanity. Not one of the predictions enumerated in The Time Is At Hand had come true. Doctrines that make no predictions are less compelling than those which make correct predictions; they are in turn more successful than doctrines that make false predictions. But not always. One prominent American religion confidently predicted that the world would end in 1914. Well, 1914 has come and gone, and — while the events of that year were certainly of some importance — the world does not, at least so far as I can see, seem to have ended. There are at least three responses that an organized religion can make in the face of such a failed and fundamental prophecy. They could have said, “Oh, did we say ‘1914’? So sorry, we meant ‘2014.’ A slight error in calculation. Hope you weren’t inconvenienced in any way.” But they did not. They could have said, “Well, the world would have ended, except we prayed very hard and interceded with God so He spared the Earth.” But they did not. Instead, they did something much more ingenious. They announced that the world had in fact ended in 1914, and if the rest of us hadn’t noticed, that was our lookout. It is astonishing in the face of such transparent evasions that this religion has any adherents at all. But religions are tough. Either they make no contentions which are subject to disproof or they quickly redesign doctrine after disproof. The fact that religions can be so shamelessly dishonest, so contemptuous of the intelligence of their adherents, and still flourish does not speak very well for the tough-mindedness of the believers. But it does indicate, if a demonstration were needed, that near the core of the religious experience is something remarkably resistant to rational inquiry. A further proof that the Watchtower Society would prefer that none of this information be available to its readers is found in the discussion about Russell’s early career in the 1959 book Jehovah’s Witnesses in the Divine Purpose. This book does not mention the 606 B.C.E. date at all. Also remember that N. H. Barbour had expected Christ to return in the flesh in 1874. When that did not happen, he used the Bible translation called The Emphatic Diaglott to argue that Christ’s parousia actually meant “presence” rather than “coming,” so that he could claim his group had been expecting the “wrong thing at the right time” after his prediction had failed. He could then claim that Christ had, in fact, returned in 1874, but invisibly. Lois: But why were there so many different ideas as to when and how Christ would return? John: It was because men were still anxiously trying to follow traditional religious teachings instead of waiting on Jehovah. Remember, the true doctrines of the Bible had been so twisted throughout the period of apostasy that no clear vision of Christ’s second presence would be possible until these doctrines themselves had been cleared up. This had not been accomplished by the so-called Reformation, so in the early part of the nineteenth century many mistakes were made in trying to determine when Christ would return, because chronology alone was relied on. It was not yet God’s due time to bring about his restoration of true worship. Of course, when Russell came along, he decided that he didn’t need to “wait on Jehovah,” but published his own interpretations with all the authority as if God had given him a revelation. You will recall Russell’s study group had come to realize that when Christ returned it would not be in the flesh, as commonly believed and taught by the Second Adventists. Pastor Russell had learned that when Jesus should come he would be as invisible as though an angel had come. Then, in 1876, while Pastor Russell was in Philadelphia on a business trip, he happened to come into possession of a copy of the magazine The Herald of the Morning, which, you will recall, was being published by N. H. Barbour of Rochester, N. Y. He was surprised and pleased to note that here was another group that expected Christ’s return invisibly and, because of the similarity of their views, he read more of this publication, even though he recognized it as an Adventist paper and even though, up to this time, he had had little regard for their doctrines. But Russell was interested in learning from any quarter, whatever God had to teach. So God was using the Adventists to teach Russell new doctrines? He became interested in the chronology set forth in the magazine and immediately got in touch with Barbour to arrange a meeting at Russell’s expense in order to discuss this matter further. It seems that one of Barbour’s group had come into possession of Benjamin Wilson’s Diaglott translation of the “New Testament.” He noticed, at Matthew 24:27, 37, 39, that the word rendered coming in the King James Version is translated presence in the Diaglott. This was the clue that had led Barbour’s group to advocate, in addition to their time calculations, an invisible presence of Christ. Note how the reader is not told that this ‘revelation’ did not occur until after the failure of Barbour’s original prediction. Russell had been interested first in the purpose of Christ’s return. His realization that it would be invisible led him now seriously to consider the time features. He was satisfied with the evidence Barbour presented. Russell was about twenty four years old when he got this “guidance” from God. What do you suppose would happen to a twenty four year old today, in a congregation of Jehovah’s Witnesses, who began declaring that he was receiving “new light” on all sorts of doctrines? said this period began in the year 607 B.C. and was due to end A.D. 1914. I agreed to read the manuscript for technical accuracy…. The book is a straightforward and truthful account. …. when the date 1874 had passed without the world being burned, and without their seeing Christ in the flesh, they were for a time dumb-founded. They had examined the time-prophecies that had seemingly passed unfulfilled, and had been unable to find any flaw, and had begun to wonder whether the time was right and their expectations wrong, — whether the views of restitution and blessing to the world, which myself and others were teaching, might not be the things to look for. 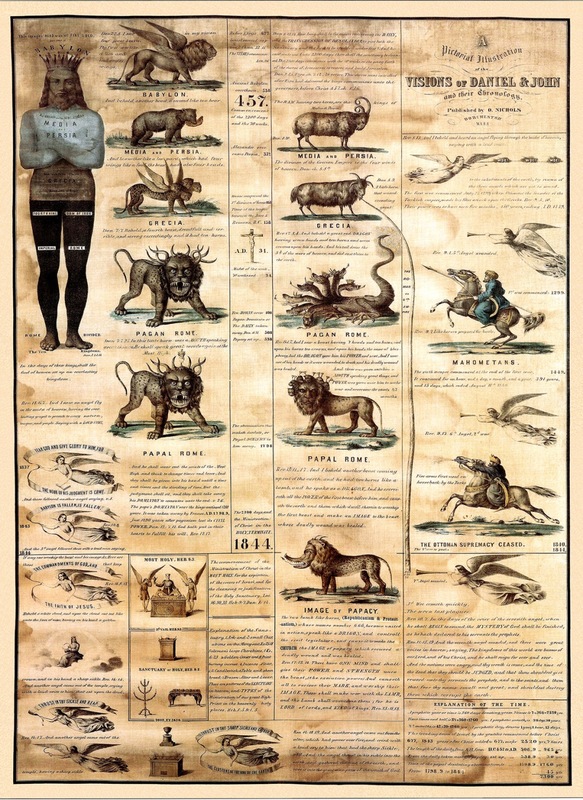 It seems that not long after their 1874 disappointment, a reader of the Herald of the Morning, who had a copy of the Diaglott, noticed something in it which he thought peculiar…. After this the account given in Jehovah’s Witnesses and the Divine Purpose begins to correspond to Russell’s again. So it is that after centuries of darkness and weeping, the true light of God’s Word began to shine forth again and the message of Christ’s return that began to be heralded so zealously was like a joyous shout at the dawning of a new day. The joyful cry that began with this significant publication, The Object and Manner of the Lord’s Return, was eventually to grow in volume until it should be like the thunder of many waters. The truth is, there were many in both Great Britain and America who believed in what is called “the two-stage coming doctrine,” the idea of Christ’s invisible presence prior to his revelation at the end of the present world and the teaching of an invisible rapture of the saints during his presence or parousia — all ideas presented in The Object and Manner. In point of fact, these concepts were originated in 1828 by Henry Drummond, a British Evangelical who with Edward Irving was a co-founder of the Catholic Apostolic church or the Irvingites. Later, many of Drummond’s ideas were popularized and spread throughout Great Britain and the United States by John Nelson Darby of the Plymouth Brethren, and by a number of other preachers. The various groups espousing these ideas came to be known as Dispensationalists. Quite a few famous names in American religion are associated with them: J. B. Rotherham, a Bible translator; the well known Bible commentator W. E. Vine; and the commentator C. I. Scofield of Scofield Reference Biblefame. Their dispensationalist views are clearly evident in their works. See The Roots of Fundamentalism: British and American Millenarianism 1800-1930 by Ernest R. Sandeen, University of Chicago Press, 1970. When Did the “Seven Times” Really End? Some people argue that even if the “seven times” are prophetic and even if they last 2,520 years, Jehovah’s Witnesses are still mistaken about the significance of 1914 because they use the wrong starting point. Jerusalem, they claim, was destroyed in 587/6 B.C.E., not in 607 B.C.E. If true, this would shift the start of “the time of the end” by some 20 years. However, in 1981 Jehovah’s Witnesses published convincing evidence in support of the 607 B.C.E. date. (“Let Your Kingdom Come,”21 pages 127-40, 186-9) Besides, can those trying to rob 1914 of its Biblical significance prove that 1934 — or any other year for that matter — has had a more profound, more dramatic, and more spectacular impact upon world history than 1914 did? The answer to the Society’s question is a profound Yes. While the Society often claims that as regards 1914, “many historians correctly point to that year as the pivotal one for mankind,” (Oct. 15, 1980 Watchtower, p. 14), this is not true of most historians. Most historians, even the ones the Society quotes, say that 1914 was one of the turning points in history, the turning point in our time, and so forth. For example, historian Barbara Tuchman, in The Guns of August (1962) said that “like the French Revolution, the First World War was one of the great convulsions of history.” But when the Society’s 1981 book Let Your Kingdom Come quoted this on p. 115, it left out the phrase “like the French Revolution.” Many historians, in fact, state that the French Revolution was an even greater turning point than 1914 in terms of world history. Let Your Kingdom Come also quoted The Economist magazine of August 4, 1979, in which the editor said that, “In 1914 the world lost a coherence which it has not managed to recapture since….” But it is hidden from the reader that the editor in the very same article compares the period after 1914 with the period from 1789 to 1848, which was as unstable, filled with wars, disorder and violence, as our own time, and suggests that history follows a rhythmic pattern — “Two generations of upheaval and violence, followed by two generations of consolidation and calm, followed by two more generations of upheaval, followed by … ?” (Page 10) So what did the editor really say about the period since 1914? Only that it seems to follow the general cyclical pattern of history in the past. Economic chaos, social unrest, high prices, profiteering, depravation of morals, lack of production, industrial indolence, frenetic gaiety, wild expenditure, luxury, debauchery, social and religious hysteria, greed, avarice, maladministration, decay of manners. The two experiences are properly comparable but comparison can only show how much more devastating the Black Death was for its victims than the Great War [of 1914-1918] for their descendants. The Society claims that all the features of the composite sign are individually much worse than in times preceding 1914, and have grown progressively worse since, but this is simply not true, as can be seen from the above descriptions of the fourteenth century and from current history. Many more lives were lost between 1914 and 1945 than were lost between 1945 and 1992. In fact, this latter period has seen the longest era of no war between major powers in hundreds of years. Though the years since 1945 have claimed some 30 million lives, this is less than the number killed in the corresponding period of the last century, 1845-1892. As regards famine and pestilence, would you rather live in the 20th century, with modern medical facilities, or in prior centuries? As far as earthquakes are concerned, a data base of worldwide earthquakes going back to 2100 B.C.E., obtained from the U.S. Geological Survey’s Earthquake Data Base System, as well as other sources, shows that the 20th century is pretty much the same as any other, both in terms of number of quakes per year and in number of people killed per year. In fact the two decades prior to 1914 had about twice the average number of magnitude 8 and up quakes as any decade since. Keep in mind though, that earthquakes are a random phenomenon, and as such, can vary quite a bit in frequency over a short period of time. The Society’s published figures in these regards are based on incomplete data and constitute a gross misuse of statistics. Reading between the lines in some of the later Watchtowers, it is clear the Society is aware of all of this, but it has no choice but to continue to claim what it has since the 1920s. This mortality factor was active in the past through three extraordinarily deadly fatal sisters: Famine, Disease and War. Due to its immediate effects Famine certainly occupied the first place in this terrifying trinity, closely followed by its near relative Disease…. Of the three demographic fatal sisters only war has continued working unabatedly. We refer here to war in the strict sense of the word, because other forms of violence resulting from it have been considerably reduced…. Diseases still exist, but epidemics of the kind that earlier would decimate whole nations do not rage any longer. Famine and malnutrition still exist but acute and hopeless starvation has been eliminated, mainly owing to better means of transport. In conclusion it can be said that we have arrived at a development that is unique to mankind. For thousands of years famine, disease and war have effectively put a check on all tendencies towards an accelerated population growth. But after the breakthrough of technics and medicine the earlier balance between the constructive and destructive forces of life has been upset, resulting in the population explosion. The population explosion unequivocally shows that the idea of a “composite sign” is nothing but a myth. There has been nothing in modern times to compare with wholesale decimation of populations that has regularly occurred in times past. The Society, of course, completely ignores all the evidence. “The Bible evidence is clear and strong that the ‘Times of the Gentiles’ is a period of 2520 years, from the year B.C. 606 to and including A.D. 1914.” — Studies in the Scriptures, Volume 2, written by C. T. Russell and published in 1889, page 79. 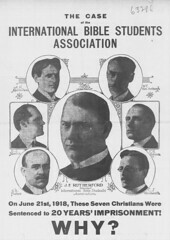 Charles Taze Russell and his fellow Bible students realized decades earlier that 1914 would mark the end of the Gentile Times, or the appointed times of the nations. (Luke 21:24) While they did not in those early days fully understand what this would mean, they were convinced that 1914 was going to be a pivotal date in world history, and they were right. True, it is expecting great things to claim, as we do, that within the coming twenty-six years all present governments will be overthrown and dissolved; but we are living in a special and peculiar time, the “Day of Jehovah,” in which matters culminate quickly; and it is written, “A short work will the Lord make upon the earth…. In view of this strong Bible evidence concerning the Times of the Gentiles, we consider it an established truth that the final end of the kingdoms of this world, and the full establishment of the Kingdom of God, will be accomplished by the end of A.D. 1914. …. Suppose that A.D. 1915 should pass with the world’s affairs all serene and with evidence that the “very elect” had not all been “changed” and without the restoration of natural Israel to favor under the New Covenant (Rom. 11:12,15). What then? Would not that prove our chronology wrong? Yes, surely! Would not that prove a keen disappointment? Indeed it would! It would work irreparable wreck to the parallel dispensations and Israel’s double, and to the Jubilee calculations, and to the prophecy of the 2300 days of Daniel, and to the epoch called “Gentile Times,” and to the 1,260, 1,290, and 1,335 days…. none of these would be available longer. The world was not serene in 1915, but is one partly fulfilled prediction in a pile of failures good enough to base one’s faith on? Because God is a God of truth, and cannot lie, “providence” could have had no hand in Barbour and Russell’s calculations or predictions. Instead of admitting that “irreparable wreck” had been wrought upon “the epoch called ‘Gentile Times'” by the failure of nearly all the predictions, after 1914 Russell and his followers claimed they had been expecting the “wrong thing at the right time,” just as Barbour and his followers did with the failed 1874 prediction of Christ’s return. This startling proclamation of global importance was actually begun to be published by Jehovah’s witnesses some 37 years before the marked year of 1914. It was in 1877 that Charles T. Russell, the first president of the Watchtower Society of Jehovah’s witnesses, as a coauthor of the book The Three Worlds, explained in this book the Bible Chronology of this date. At this point some will inquire why Charles T. Russell in 1877 used the date 606 B.C. for the fall of Jerusalem whereas The Watchtower of late years has been using 607 B.C. This is because, in the light of modern scholarship, two slight errors were discovered to have been made which cancel each other out and make for the same result, namely, 1914. Concerning the first error, Russell and others considered 1 B.C. to A.D. 1 as being two years whereas in fact this is only one year because, as has been said above, there is no “zero” year in the B.C.-A.D. system for counting years…. The second error had to do with not beginning the count of the 2,520 years at the right point in view of historic facts and circumstances. Almost all early Bible chronology ties in with secular history at the year 539 B.C., in which year the fall of Babylon to Darius and Cyrus of the Medes and the Persians occurred. In late years several cuneiform tablets have been discovered pertaining to the fall of Babylon which peg both biblical and secular historic dates. The one tablet known as the “Nabunaid Chronicle” gives the date for the fall of Babylon which specialists have ascertained as being…. October 6-7, 539 B.C., according to our present Gregorian Calendar. This article appears to have been written by Fred Franz, and again he shows his aversion to clearly and completely explaining why the changes were made, but especially to why the changes were delayed so long. Remember that much of the information was available since the 1860s. Generally…. the Watch Tower Society has endeavored to keep its associates abreast with the latest available scholarship on Bible chronology consistent with the internal historic and prophetic events recorded in the Scriptures…. Jehovah’s witnesses from 1877 up to and including the publishing of ” The Truth Shall Make You Free ” of 1943 considered 536 B.C. as the year for the return of the Jews to Palestine, basing their calculations for the fall of Babylon on secular histories that were inaccurate, not up to date on archaeological evidences. This meant that Jeremiah’s seventy years of desolation for Jerusalem ran back from 536 B.C. to 606 B.C., instead of more correctly as now known from 537 B.C. to 607 B.C…. This adjustment of one year for Jerusalem’s fall to 607 B.C. was acknowledged in the book ” The Kingdom Is At Hand ” of 1944, footnote of page 171, and also in The Watchtower of 1952, page 271. Again The Watchtower misleads its readers, implying that the only secular histories that were available were inaccurate. There were better histories available to Barbour and Russell, but since there was no way to choose among them, they should have acknowledged it and explained the problem to their readers, rather than dogmatically stating that virtually all authorities recognized the dates. The Watchtower‘s statement also conceals the fact that, as it acknowledged in the August 15, 1968 issue, accurate information had been available since at least 1907 (in fact, since the 1860s), and yet the Society did not take account of any of it. Also, note how The Watchtower misleads the reader by saying that The Kingdom Is At Hand “acknowledged” the change for the date of Jerusalem’s fall, whereas The Kingdom Is At Hand made no such acknowledgement, but explicitly claimed that The Truth Shall Make You Free made the adjustment, and we have seen that The Truth Shall Make You Free made no such adjustment at all. At least the 1955 Watchtower was truthful in saying that the 1952 Watchtower merely acknowledged the change. In conclusion, it is evident that the only reason the Society “adjusted” the date 606 to 607 B.C.E. is that Fred Franz decided that neglecting the zero year in counting the 2520 years could no longer be ignored. The Revelation book’s implication that this reason was the result of other “research” confirms the contention that the Society prefers that Jehovah’s Witnesses not know how the 607 B.C.E. date evolved. The whole business of covering up the switch from 606 to 607 B.C.E. is another example of the Watchtower Society’s intellectual dishonesty. The Revelation book’s mention of the problem at all is most likely a response to comments made in two books published in 1983 by “opposers”: The Gentile Times Reconsidered by Carl Olof Jonsson and Crisis of Conscience by Raymond Franz. These books point out many difficulties with the Society’s chronology, and it is clear that someone at Watchtower Society headquarters wanted to answer a few of the charges without admitting the existence of such potentially damaging books or telling the real reason for the change of dates. The Watchtower Society is certainly not afraid of telling lies on what it thinks is God’s behalf. The organizing of capital against labor, the rising of the people in self defense, the overthrow of law and order, the casting down of the “thrones” and governments, and “a time of trouble, such as never was since there was a nation;” are all clearly foretold in Scripture as events to precede the millennial age of glory. And the signs of great events at hand are so apparent that all are impressed with the dark shadow of coming trouble. Although there is no direct evidence that at the end of six thousand years from the creation of Adam, the “second” Adam should begin the new creation, or restitution of all things; still there is much indirect evidence…. The prophecy of “seventy weeks” given at Daniel 9:24-27 “is a ‘jewel’ in the matter of identifying the Messiah,” according to the Insight book, Vol. 2, page 899. According to this prophecy there would be 69 weeks of years “from the going forth of the word to restore and to rebuild Jerusalem until Messiah the Leader.” According to Nehemiah 2:1-8 this word went forth in the 20th year of Artaxerxes, King of Persia. According to extremely well established22 secular sources this 20th year ran from the fall of 446 B.C.E. to the fall of 445 B.C.E., reckoning by the Jewish civil calendar, and therefore the “going forth of the word” occurred in the summer of 445 B.C.E. This date has been generally accepted since the early 19th century but has been challenged by a number of biblical scholars. The Watchtower Society also disagrees with this date. It used 454 B.C.E. from its early days until 1946, when the date was moved back to 455 B.C.E. The purpose of this discussion is to show the Society’s reasoning behind its acceptance of each date, and why it changed the date in 1946. The date of Nehemiah’s commission is ordinarily stated to be B.C. 445. But Dr. Hale’s work on chronology (pages 449 and 531) and Dr. Priestlie’s treatise on the “Harmony of the Evangelists” (pages 24-38) show this common view to be nine years short, which would give B.C. 454 as the true date of Nehemiah’s commission; and with this date Daniel’s prediction (Chapter 9:25), concerning the decree to restore and to build Jerusalem, agrees. Since sixty-nine weeks (7 and 62), or four hundred and eighty-three years, reach unto Messiah (the Anointed) the Prince, therefore from this period of sixty-nine symbolic weeks, or four hundred and eighty- three (483) years, we deduct four hundred and fifty- four (454) years B.C. as the true date of the decree to restore and to build Jerusalem; and the remainder — 29 A.D. — should be the year in which the Anointed (Messiah) would be manifested. This is in exact accord with what we have already shown, viz., that Jesus was baptized by John and received the anointing of the Spirit A.D. 29, about October 3rd, at which time he was thirty years of age, according to the true date of his birth as shown in the preceding chapter. Note here that Russell was not attempting to verify the prophecy by looking at firmly established secular dates and noting that the prophecy corresponded to the dates. Rather, he started with the date at which he ultimately wanted to arrive, 29 A.D., backtracked by the 483 years of the 69 weeks prophecy, arrived at 454 B.C.E.23 as the starting date, and then marshaled the statements of selected scholars to support his claims. That this is the sequence Russell actually followed is indicated by the fact that when the Society moved the date back by one year in 1946, to account for the zero year, the old historical support was simply dumped and other historical support was advanced for the new date. This other support had been available all along. Support for the 445 B.C.E. date was dismissed out of hand. Such commandment concerning Jerusalem’s rebuilding was issued to Nehemiah in 454 B.C., and 69 weeks of years (or 483 years) from that date points to A.D. 29 as the years bearing watching. Would Messiah then appear? Again note the neglect of the zero year. The statement is consistent with the fact that the author, just 3 pages back on page 239, had moved back the date for the start of the Gentile Times from 606 to 607 B.C.E., but explicitly retained the summer of 606 B.C.E. for the destruction of Jerusalem, and had missed the significance of the fact that the destruction of Jerusalem would then have occurred after the start of the Gentile Times. This was not corrected until 1944, when The Kingdom Is At Hand on page 171 simply claimed that both dates had been changed in the 1943 book. That year corresponds with the year 454 B.C., which vulgar year actually began about October of 455 B.C. This twentieth year of Artaxerxes III (from 455 B.C. into 454 B.C.) marked the beginning of the seventy weeks of years, or 490 years, that the angel Gabriel told Daniel would be climaxed with the appearance of the Messiah. Thus the year 454 B.C. became an epoch in Bible chronology. When, then did Xerxes reign? After the 36-year reign of Darius II Xerxes began ruling, in 485 B.C. To this history unanimously agrees. But as to the time of ending of his reign there is disagreement. Most encyclopedias say his reign extended to a twenty-first year, to 465 B.C., and that then Artaxerxes III ascended the throne. But the most accurate profane historian of those times, and who lived during the reign of Artaxerxes III, namely Thucydides, fixes, with the aid of a chronology table by Diodorus, the end of Xerxes’ reign and the beginning of Artaxerxes’ rule at about the year 473 B.C. According to this reckoning, the twentieth year of Artaxerxes III would fall in 454 B.C., which is correct and properly fixes the time for starting the count of the seventy weeks foretold in Daniel 9:24, 25. This explanation is stated as a certainty. The reader should compare it to the Society’s latest discussion in Insight, Vol. 2, under “Seventy Weeks,” and “Persia, Persians.” The new explanation is stated just as certainly and is just as wrong. It is therefore established on competent authority that Artaxerxes king of Persia began reigning in 474 B.C., and that his twentieth year fell in or overlapped on 455 B.C. This year, then, in the late summer, or early fall, marks the time when the word or commandment went forth WITH EFFECT for Jerusalem to be rebuilt. So that is when the “seventy weeks” began to count. It is of note that Hengstenberg’s works were published in 1836-1839, so that they were most certainly available to C. T. Russell. Why did the Society only notice this material after the 20th year of Artaxerxes needed to be placed in 455 B.C.E.? Interestingly, the treatment in Insight does not mention Hengstenberg at all. Note that the 1946 Watchtower moved back two dates: 454 to 455 and 473 to 474. The “going forth of the word” was now stated to have occurred in the summer of 455, rather than the summer of 454 B.C.E. No explanation was given why the date was moved — only that the date under discussion was correct. This is another example where the Society swept a difficult doctrinal change under the rug. It avoided having to explain why the Society had been wrong for some 60 years, and avoided getting into an explanation of the zero year problem, which would have immediately led to having to explain the far more serious 606-607 switch. Nothing more was said until most readers had forgotten the old date after a few years. [The 20th year of Artaxerxes] counted really from October 5, 456, and continued through twelve lunar months to sundown of September 23, 455 B.C. (Gregorian Calendar) In the spring of 455 B.C., in the Jewish month Nisan, Nehemiah received from Artaxerxes the command to restore and rebuild Jerusalem. Compare this with the above quotation from page 178 of Equipped For Every Good Work. The dates have been moved back by exactly one year, and nowhere in the intervening publications was it clearly stated that this had been done. As was said above, the December 1, 1946 Watchtower actually switched the date but it was done so casually that most readers would have been unaware of the change, especially had they been prepared by the statement from page 202 of The Kingdom Is At Hand. Apparently, leading the reader to the “correct” conclusion by whatever method works is ok with the Society. In summary, the Society taught for the greater part of its history that Artaxerxes’ 20th year ran from fall to fall, 455 to 454 B.C.E., and the start of the 70 weeks prophecy began in the summer of 454 B.C.E. The December 1, 1946 Watchtower moved these events back one year without explicitly saying that it was doing so. It merely referred to a different set of scholars than had Russell, to achieve the new desired result. The goal was to rectify the zero year problem with respect to the start of the 70 weeks prophecy, while not raising uncomfortable questions among the rank-and-file. This is yet another case where the Society’s official publications grossly mislead its readers. 1 C. T. Russell, The Time Is At Hand, p. 42, Watchtower Bible and Tract Society of New York, Inc., Brooklyn, NY, 1889. 4 Compare editions prior to mid-1912 with editions after mid-1912, p. 101. The change was done in the middle of the printing run for the 1912 edition of 1,209,000. 5 The Watch Tower Reprints, p. 5328, October 15, 1913. 6 The Time Is At Hand, p. ix. 7 N. H. Barbour and C. T. Russell, Three Worlds and the Harvest of this World , pp. 76, 83-4, Rochester, N.Y., 1877. 8 See Appendix A for more predictions from Three Worlds. 9 ibid, p. 75, 194. 10 Zion’s Watch Tower, p. 3, October/November 1881. 12 The Truth Shall Make You Free , pp. 238-9, Watchtower Bible and Tract Society of New York, Inc., Brooklyn, NY, 1943. 13 The Time Is At Hand, p. 79. 14 The Kingdom Is At Hand , Watchtower Bible and Tract Society of New York, Inc., Brooklyn, NY, 1944. 15 ibid, p. 168, 169, 176, 183. 16 ibid , p. 195. Since sixty-nine weeks (7 and 62), or four hundred and eighty-three years, reach unto Messiah (the Anointed) the Prince, therefore from this period of sixty-nine symbolic weeks, or four hundred and eighty-three (483) years, we deduct four hundred and fifty-four (454) years B.C. as the true date of the decree to restore and to build Jerusalem; and the remainder — 29 A.D. — should be the year in which the Anointed (Messiah) would be manifested. This is in exact accord with what we have already shown, viz. : that Jesus was baptized by John and received the anointing of the Spirit A.D. 29, about October 3rd…. Russell’s argument suffered from the zero year problem. Note how he was able to find “support” for his date of 454 B.C.E., even though the Society today finds equal support for 455 B.C.E. for the same event, now that it correctly handles the zero year. See Appendix B. How much confidence can be placed in an organization that first decides what the scriptures say apart from historical information, and only afterwards marshalls limited historical support for it, ignoring every piece of historical data that contradicts the desired conclusion? It would seem reasonable to interpret the scriptures in light of history rather than the other way around. 18 The Time Is At Hand, p. ix. 19 Carl Sagan, Broca’s Brain , p. 332, Ballantine Books, New York, 1979. 20 The Society says this was published in 1873, but there is a real question about the true date. No early Watch Tower gives the date. No copies exist that bear a publishing date prior to 1877 when an edition was published by The Herald of the Morning, edited by N. H. Barbour. Furthermore, according to P. S. L. Johnson, who was the leader of a group that broke away in 1918, Russell himself stated that he came to accept the doctrine of Christ’s invisible presence in October, 1874. It was about October, 1874 that Barbour’s and other groups were expecting Christ’s return, and Russell was definitely aware of some of these, having been closely associated with the Second Adventists. 21 This statement is not true. The book merely repeated a few of the Society’s old scriptural arguments, presented hardly any historical information in support of its position, misused what little it did present, and ignored or misrepresented all the evidence against its position. See the related essay, “The Seventy Years Foretold By Jeremiah” for a discussion of every point in the Appendix of Let Your Kingdom Come. 22 The date is established by astronomical means, historical accounts (not all agree), and contemporary business and administrative documents. 23 Russell again neglected to account for the zero year. He should have arrived at 455 B.C.E., the Society’s current date.